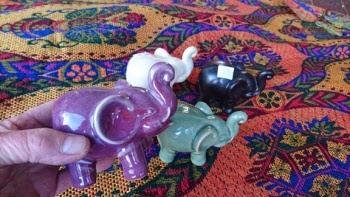 Elephants galore, so many different styles to choose from. 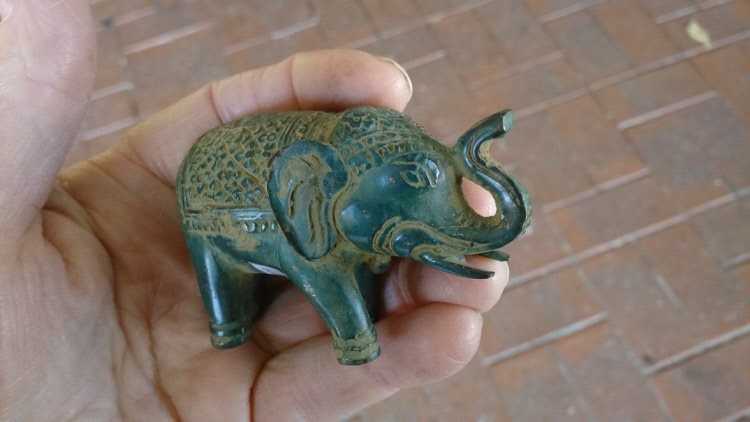 This is a page for the serious elephant collector. 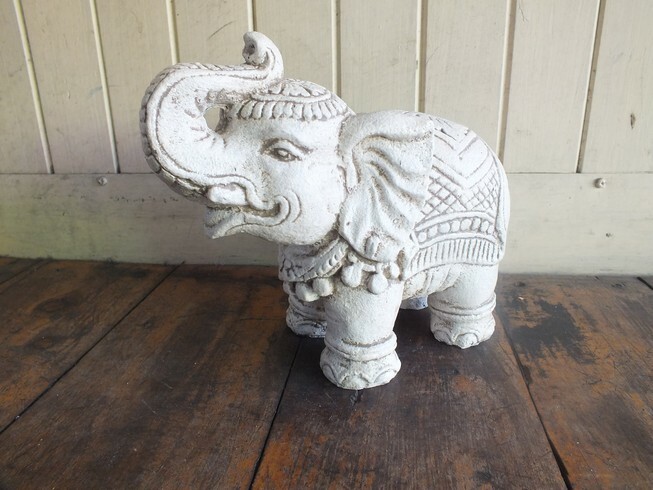 The white elephant is revered in Thailand and many other countries. The Buddha's mother had a dream about a white elephant before she gave birth to the Buddha. 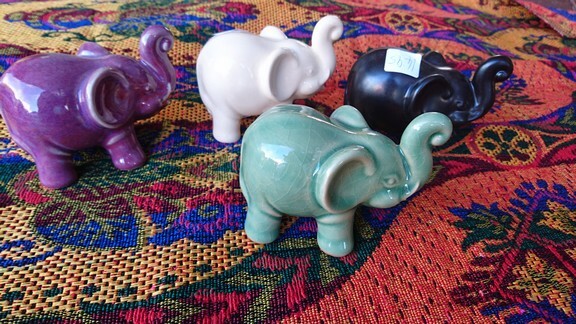 These white elephant have been regarded as sacred ever since. 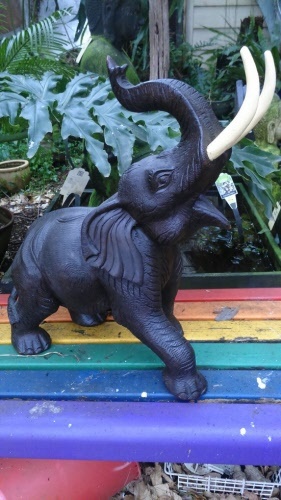 This beautiful elephant is made from durable resin and can be kept indoors or outside in the garden. 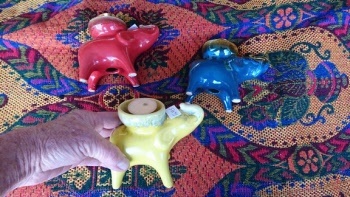 Exotic designed Elephant tea light holder all the way from Thailand. 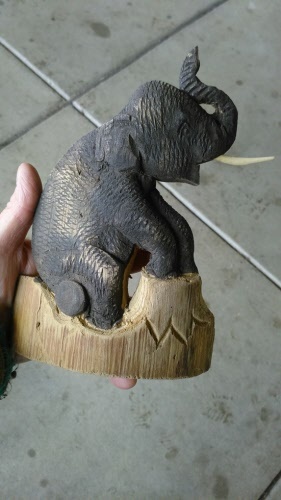 Lucky elephant with his trunk up. Lovely elephant statues all the way from Thailand. Made from ceramic then glazed till nice and smooth and shiny. 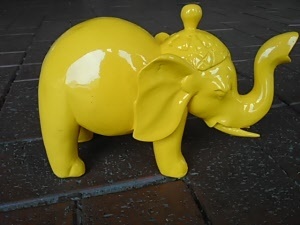 They are a lucky elephant with their trunk held high. 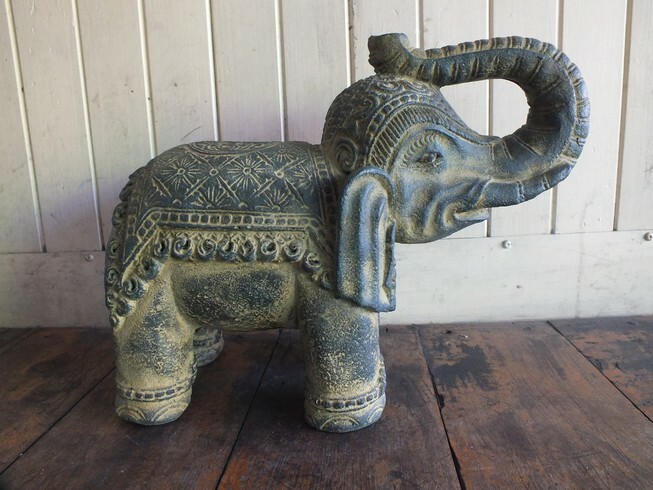 Beautiful elephant statue, has great designs on the side. Ideal as a garden ornament or a stunning feature inside your home. 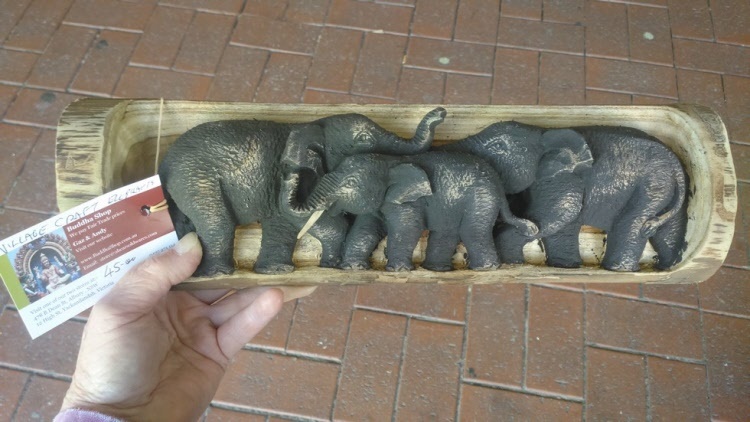 Ideal gift for the elephant lover in your family or circle of friends. 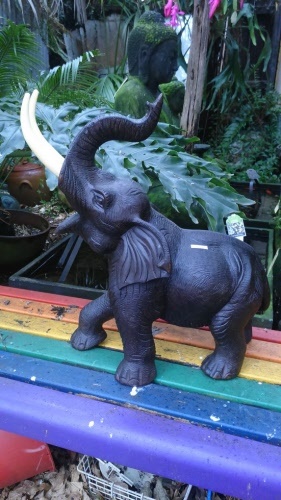 Click on the photo to see another image. 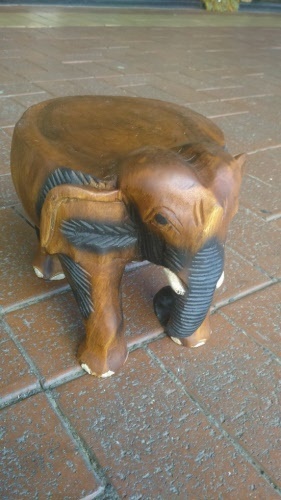 Hand carved from teak in Thailand by expert master craftsmen and women. This is a village handicraft product. 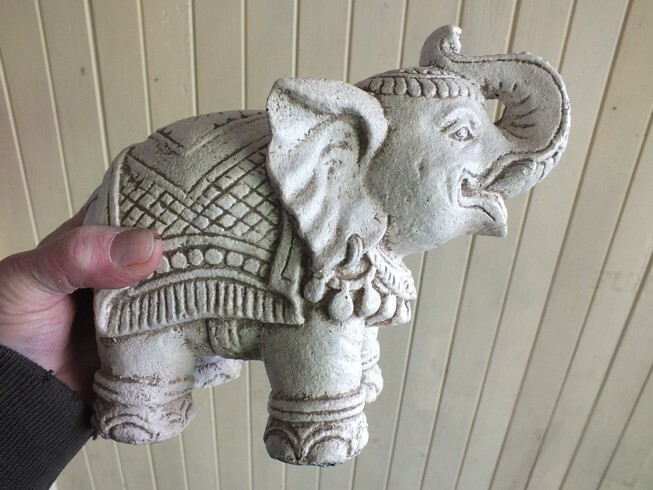 Stands upright, or hang on wall with your own hook. If just buying this product you may add the postage cost, just click the button above. Designs and size may vary slightly due to changes in stock. 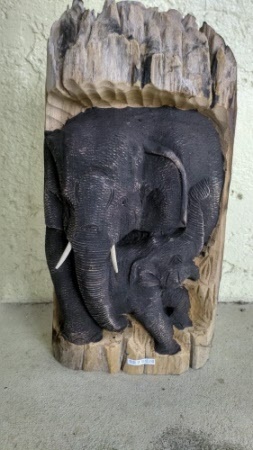 So unique and special, these elephants have been carved from one piece of teakwood, then coloured to make them stand out. 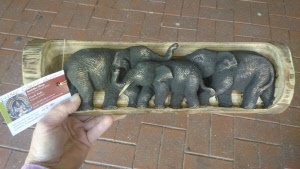 An ideal gift for the elephant lover in your family of group of friends, each one is different as they are hand carved. 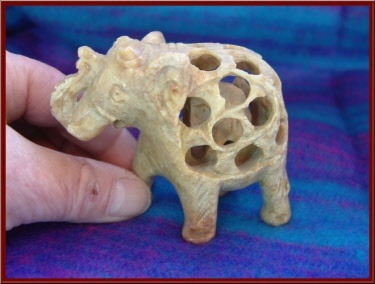 I've watched the artisans working on these pieces and many larger ones, they take great care and it requires a lot of patience. This artform is slowly dissapearing in Thailand as the younger generation flee to the bright city lights, not wanting to learn the art. 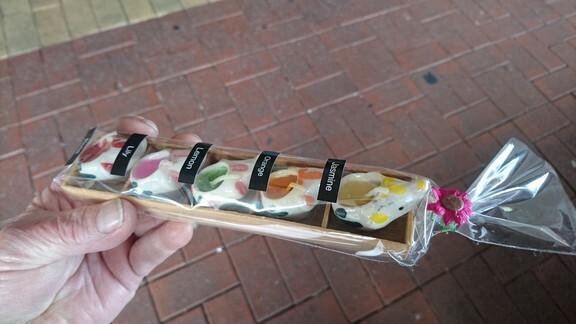 Each one is an original, if you wish I can send a photo of the one we have before sending to you. This is a beautiful elephant, he has been hand carved by expert carvers in Thailand. Then expertly designed with all the grains in his skin showing. 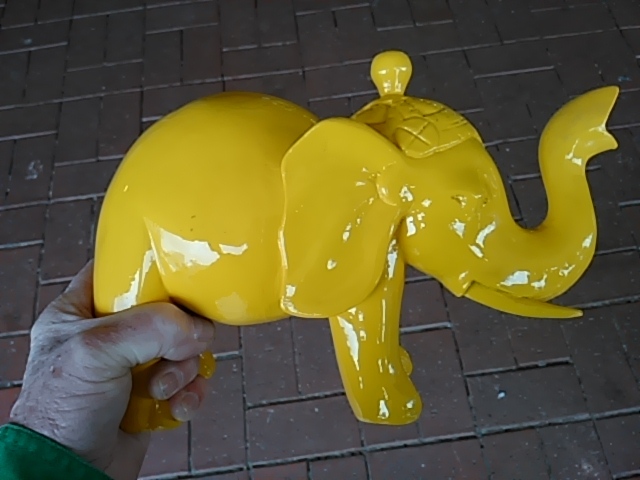 A truly amazing work of art. A lovely Elephant made from solid resin stone and has etching on him. 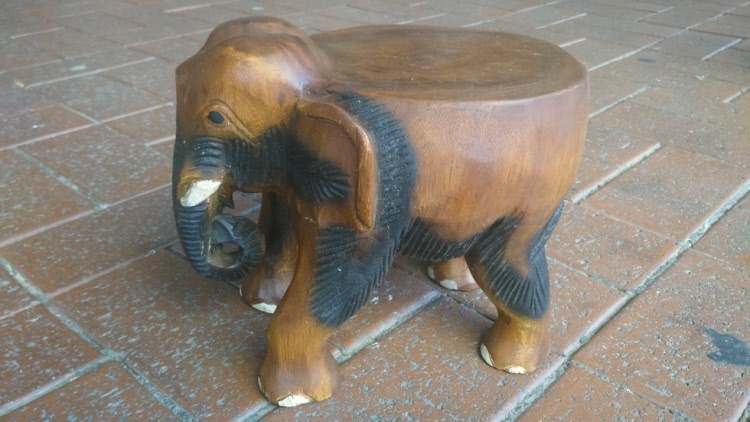 An amazing piece of art, this Elephant with baby. Hand carved from one piece of wood in thailand. Once ordered we will send a quote for delivery to your area if not listed above before processing your order. Beautiful foot stool or seat. This one is carved by master carvers in Thailand from the root of a teak tree. 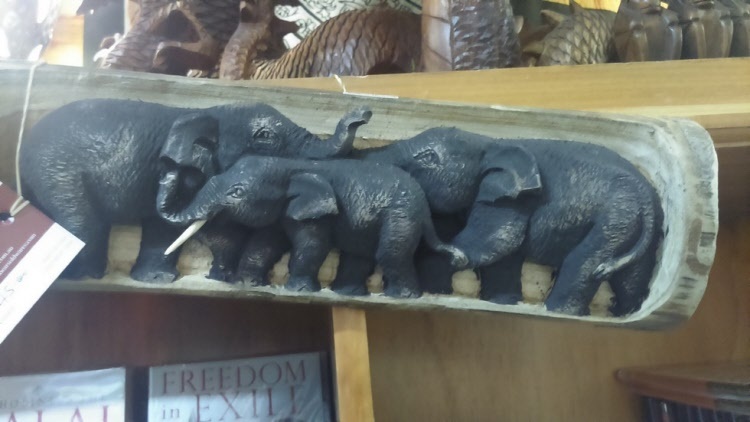 A great gift idea for the elephant lover in your family or circle of friends. When purchased we will send a postage quote to you before processing your order. 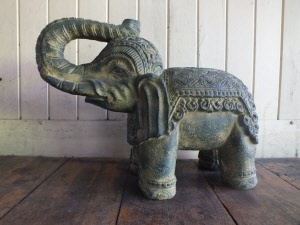 All the way from Java, this beautiful elephant candle holder has been cast from bronze. 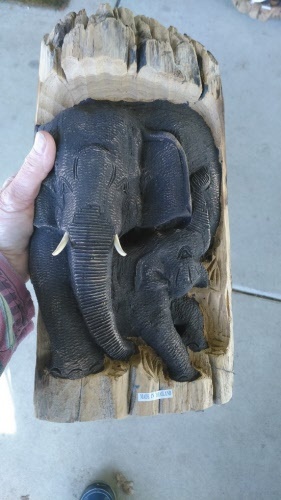 A great gift for the avid elephant collector, i'm sure they won't have one of these. 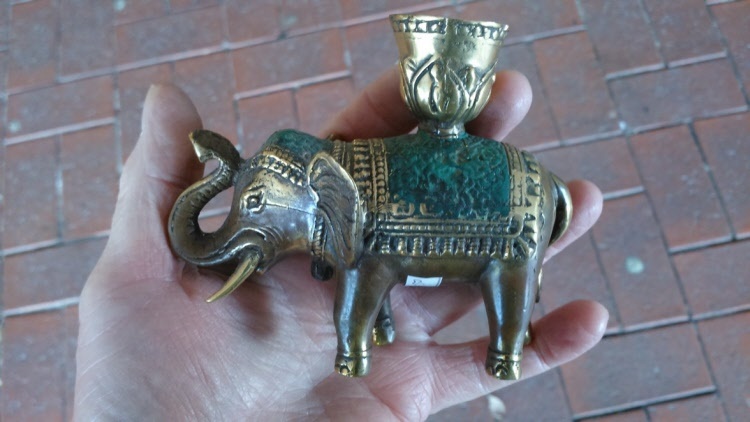 Everyone needs a little luck sometimes, and here he is our little Bronze Lucky Elephant. 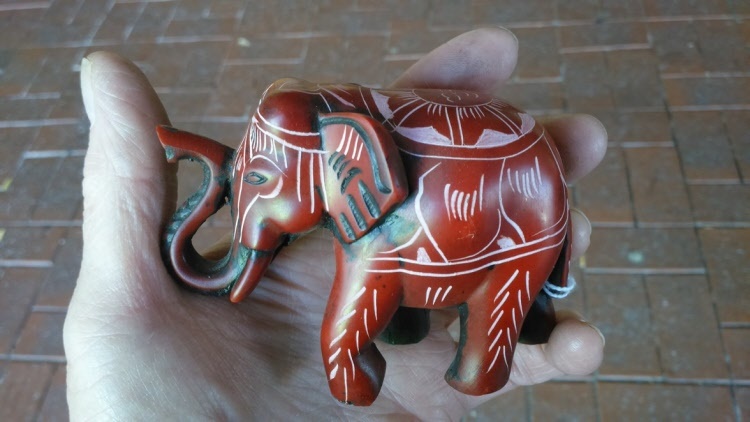 Place him on your desk or table, you never know, he may bring you luck. Made from bronze in far away Java he is now available to you. Click on photo to see larger view. 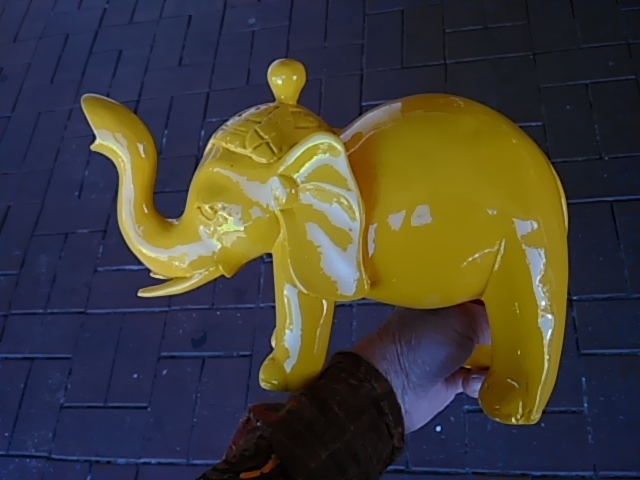 Beautifully made, yellow elephant statue. 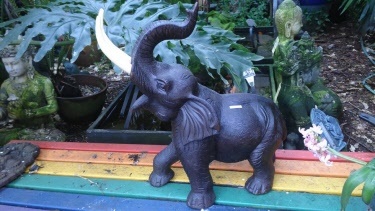 Is made from fibreglass and quite glossy, ideal for indoor or outdoor use. 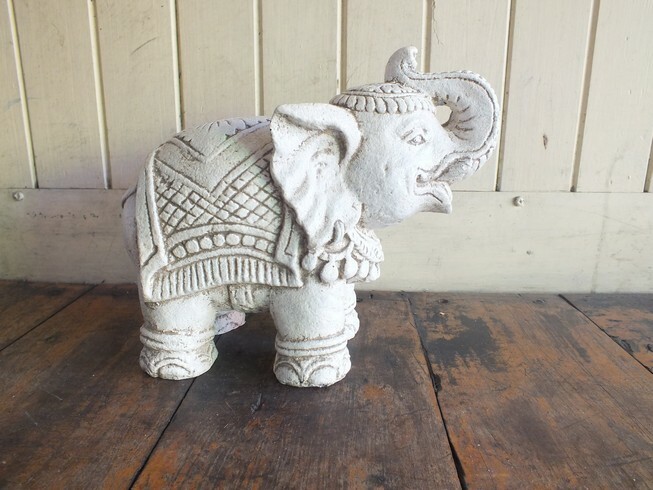 Ideal for the elephant collector or someone who just loves beautiful objects. 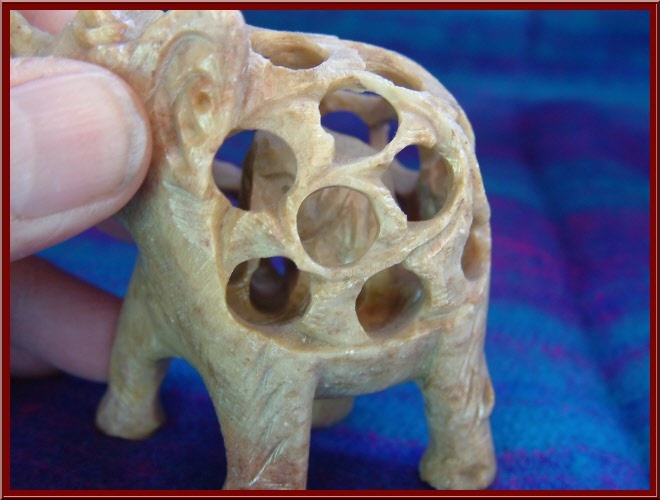 Beautifully carved in India from soapstone this little elephant also has another elephant which is inside, amazingly all carved from one piece of stone.